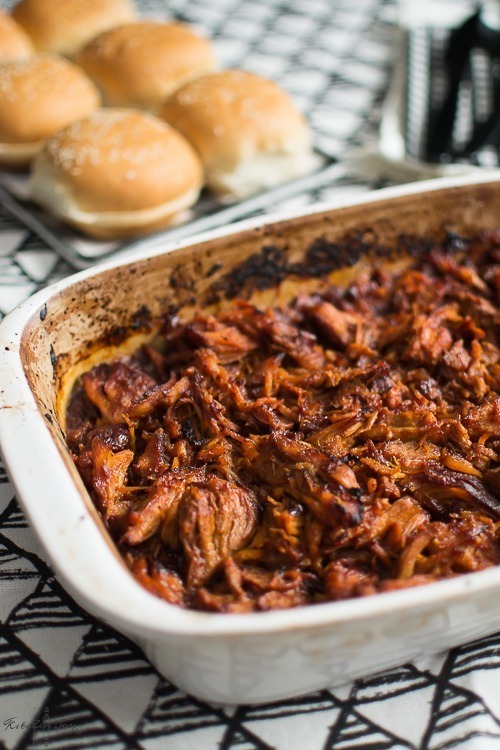 I’ve made pulled pork in just about every imaginable way over the years, and this Instant Pot Pulled Pork is the one and only method that I recommend. The technique is straightforward yet precise. Sear, cook, shred, glaze, serve. Following these steps ensures the best texture and most well-developed flavors without spending all day roasting the pork shoulder, thanks to the pressure cooker. Vernors ginger ale and Michigan cherries make this recipe uniquely perfect for my Mitten state friends. I can’t wait until our sweet corn is in season to serve alongside these pulled pork sandwiches. Instant Pot Pulled Pork with Michigan Cherry BBQ sauce is the stuff midwest picnic dreams are made of. This straightforward yet precise method yields the best texture and well-developed flavors without an all-day cook time. Heat the inside of Instant Pot using the “Saute” function. Add a few tablespoons of Canola oil to coat the bottom of the pot. Brown the pork shoulder on all sides. Transfer browned pork to a plate. Slowly pour 1 cup of the Vernors into the pot, scraping down any browned bits from cooking the meat. Make very sure to loosen any stuck-on bits before proceeding as it can affect the pot’s ability to pressurize properly. Return browned pork shoulder to the pot and add remaining Vernors. Do not exceed the max-fill line. The pork should be almost completely submerged in the liquid. Secure the Instant Pot lid in place and make sure the steam vent is closed. Set the pot to cook using “Manual Cook” set on HIGH pressure for 90 minutes. At the end of 90 minutes, do not release the steam valve. Allow the pressure to release on its own for at least 20 minutes before releasing the valve. In a large saucepan, combine the tart cherries, ketchup, brown sugar, and Worcestershire sauce. Bring to a boil over high heat, stirring frequently. Reduce heat to low and simmer, stirring frequently until thickened, about 30 minutes. Transfer mixture to a blender and pulse until very smooth. Makes about 2 cups. 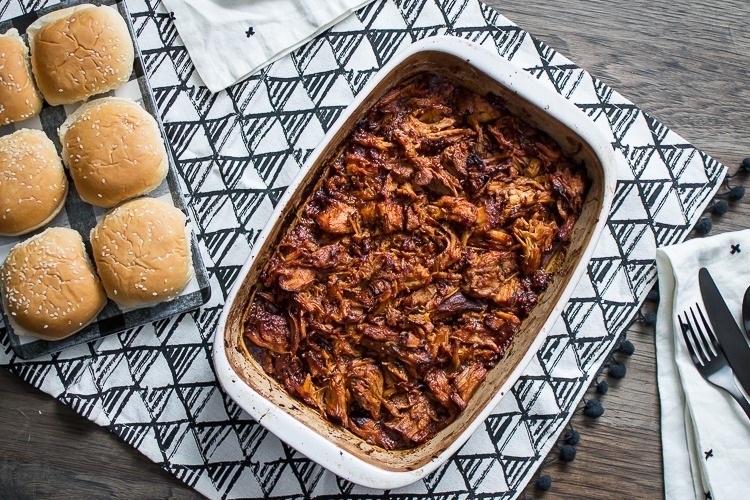 Shred pork and transfer to a 9×13-inch baking pan. Add barbecue sauce and stir to coat. Roast the pork for about 15 minutes, stirring occasionally, until glazed and browned. Serve with toasted buns, white cheddar cheese, mayonnaise, and sliced pickles. The snow in our backyard has almost completely melted in the past day, and I AM HERE FOR IT. The thought of planting the garden, grilling all the things, splashing in the kiddie pool, it all makes me giddy. 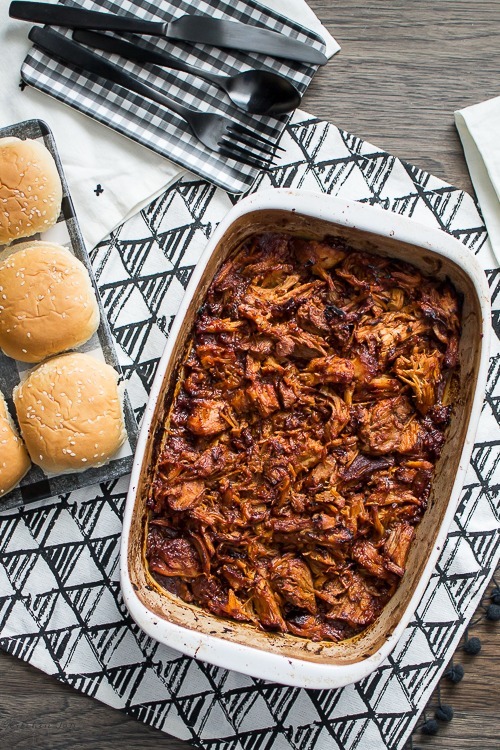 I’m most excited for the memories and messes made around the picnic table with both of our girls, and this pulled pork will most certainly be a staple this Spring and Summer. Enjoy your weekend! And thank you so much, as always, for taking the time to visit my site. 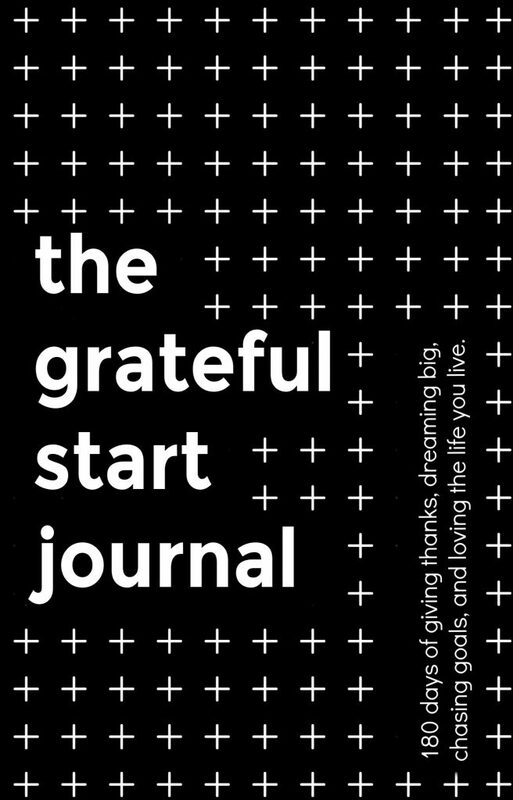 Every page view, subscriber, every comment, like, share, etc. 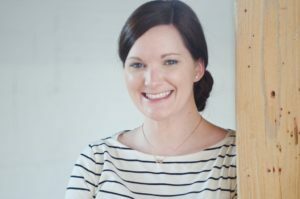 It all counts and helps keep me motivated to continue to share new recipes and food-related fun. 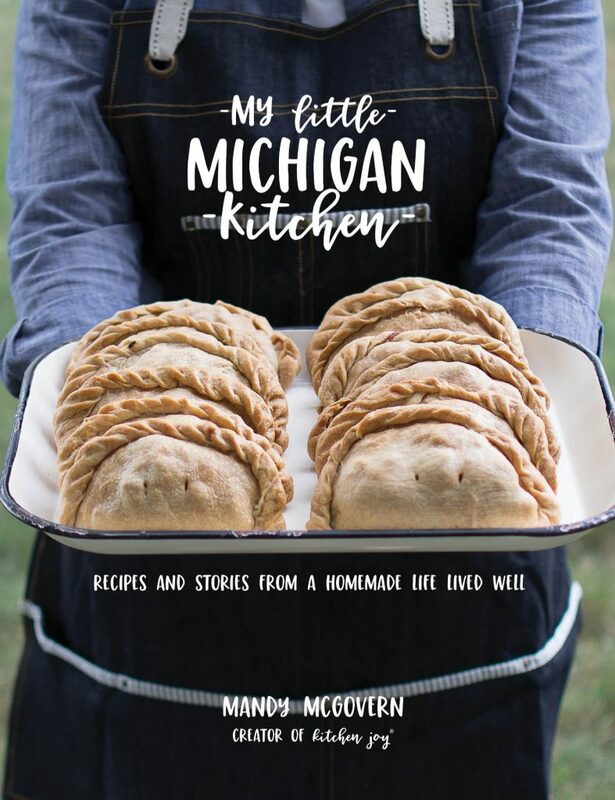 Previous Post: « My Little Michigan Kitchen PRE-ORDER info and COVER REVEAL!